Spend your summer in Berlin, the cultural heart of Europe! Take part in our unique academic and cultural program and be a part of our international network of students. Our summer schools in 2019 include courses such as Satellite Design, Robotics, 3D Scanning and Printing and Entrepreneurship. Expand your knowledge, explore the campus of the TU Berlin and live in a city like no other! Why we are using Google Analytics? 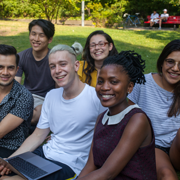 Courses at the TU Berlin Summer School include approximately 18 hours of instruction per week. 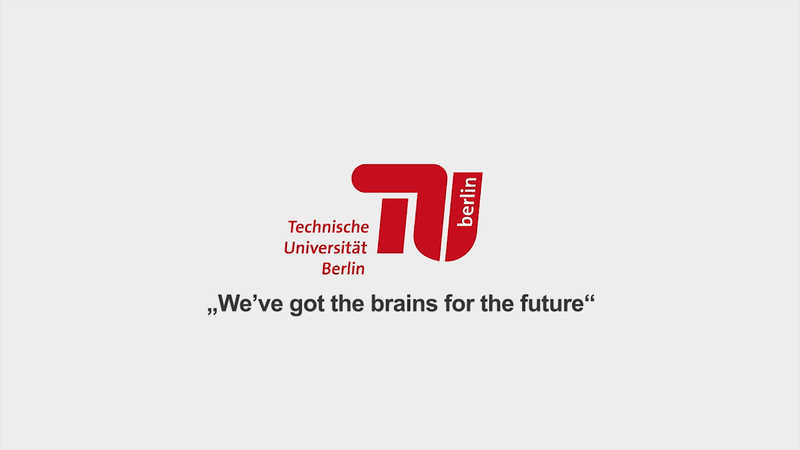 Students receive a certificate of the TU Berlin and ECTS credit points on successful completion of their course. Be able to deal with everyday situations in a German-speaking environment and conduct simple conversations. This four-week introductory course covers listening, speaking, reading, writing and culture. Berlin is Europe’s no. 1 Tech Hub. The German capital is thriving towards one of the smartest cities globally through initiatives such as ‘be-digital-Berlin’. It follows a roadmap that includes fostering e-mobility and the Internet of Things (IoT) as well as strengthening biodiversity. Understand the engineering design process and commonly used engineering measurement tools and see how precision measurements are used in practice in Berlin. Take a look into the field of computer science and start programming. Develop your skills through regular practical programming sessions and try writing your own program. Arduino makes difficult electronics projects accessible to everyone. It is used by artists, designers and anyone interested in creating interactive objects or environments. This introductory course focuses on understanding and programming the Arduino microcontroller, and designing interactive, responsive devices that express media contents. The Smart City approach aims to find solutions to the ecological, social, economic and cultural challenges facing the city of Berlin through the use of intelligent technology. In this course you will interrogate the “Smart City” concept, contribute your own ideas, and gain perspective on how global cities are innovating for a more sustainable urban future. Get an introduction the fundamentals of Geometric Dimensioning and Tolerancing (GD&T) and delve into some of the practical implications and effects that drawing notations will have on actual production parts. Understand the creation of new products and the core concepts of human-centered innovation. Take this practical course and be guided through the process, from idea generation right through to the development of a business concept. This course covers various interaction and design techniques for working with living media. Five of the most used design techniques will be explored in the context of bioluminescent bacteria and algae. Learn the basics, introduce yourself and find your way around in Berlin in the local language – German! Learn about the exciting technologies of 3D scanning and printing and gain practical experience by printing your own creations. Understand the historical context, current capabilities, and future possibilities of 3D scanning and printing technology. Learn about the economic, engineering, and political aspects of energy transitions through sessions from experts and practitioners as well as field excursions to conventional and renewable energy sites. 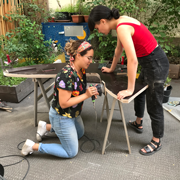 This course promotes socially and ecologically responsible engineering by investigating the effects of technology on individuals, society and nature and what people can do to create a responsible technology. Launch your own rocket! 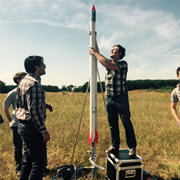 Learn about space technology and design, and build and test your own satellite in the field. This course covers topics related to the exciting area of space technologies and provides practical skills for the development of a ‘CanSat’. Learn how to create algorithms which make robots perform tasks in a way that we (humans) believe is intelligent. In this course you will gain an understanding of the fundamental methods and algorithms used in AI, and build an appreciation of how they can be applied to interesting practical problems. Learn about space technologies and robotic exploration of other planets. In a small team you will learn how to operate a rover in a Mars analog mission scenario on a test-bed. Each team will build their own manipulator to pick up ground samples or objects. Learn how to launch a startup and implement a business plan, and get to know the entrepreneurship scene in Berlin. This course helps you build a structured approach and allows real-time experimentation and feedback. How have surveillance technologies transformed culture and identity in post-9/11 worlds? This course will examine the effect of surveillance technology on society by looking at the multifaceted ways technologies and societies interact. Learn the theory of elasticity for composite materials used in lightweight structures such as airplanes, race cars, laptop covers. Write your own code and simulate deformation in composite materials. Work on solving engineering problems in elasticity in a small team. This course will teach you what virtual reality is and how it can be connected with sports. You will learn to develop a first Virtual Reality game with Unity and perform a usability test to incorporate the results into an app version. Learn how the conversion of renewable energies like wind power or sunlight take place in wind power plants, photovoltaic cells (PV) or concentrating solar systems. Conduct your own membrane experiment in the laboratory to find out parameters needed for the design of the desalination unit. In this course you will gain basic knowledge of machine learning and some of the applications for it with the use of the programming language Python. Through different tasks you will get to know several topics in this area and acquire fundamental skills in Python. This course tackles the prominent, yet pertinent question, on how cities deal with migration and immigration and which role migration plays for their urban development. The course concentrates on different cases of the urban governance of migration in a variety of migration regimes, which will allow you to understand the different institutional settings within planning. This course covers the theory, tools, and techniques associated with the systems thinking approach which allows you to understand the relationship and connections between components of a system. This course will help you to develop your understanding of, and proficiency in, system dynamics simulation, enabling you to evaluate the future of one business in the real world. This course will teach you how to use Python coupled with Jupyter to manipulate and visualize data. It will give you a peek into the theoretical foundation of machine learning and its main algorithms. You will apply this knowledge to real world problems by using machine learning to classify and predict data. Berlin is a cultural hub with immense historical significance. Young artists from around the world use the multicultural, open-minded climate as an inspiration and both visitors and residents alike can enjoy a spectacular array of cultural activities on offer throughout the city. From art exhibitions and theater productions to concerts and festivals, Berlin has more than 180 museums and collections, 440 galleries, three opera houses, eight major symphony orchestras, 98 cinemas, 150 theaters and stages, and many other cultural institutions. 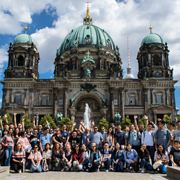 Tuition costs for the TU Berlin Summer School include a Berlin Cultural Program which offers students the chance to get a glimpse of what the city has to offer. 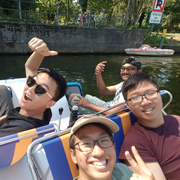 Activities include a guided sightseeing tour, a visit to the German Parliament, sporting activities, visits to historical sites and social networking activities. We invite everyone to take part in our Summer University, whether you are a current student, a graduate, a mature student or a working professional. To maintain our standard of education we require that all applicants are proficient in English (B2) and have completed at least one year of university. You will be asked to upload verification of these requirements when you register. Please note that each course has its own pre-requisites. Don't forget to check them on each course description before registering. For more information and FAQ, click here. We are using Google Analytics to improve our offers for you. With Google Analytics we are able to see from which country you visit us and can adapt our information for you. If you don't want this, please use the following Opt-Out Code we show at the bottom of every Summer University page.